Welcome to Lori's Seed Starting 101 class. In this episode you will see how (over a couple of years of dodgy success) I found a method of starting plants from seed that works for me. WARNING: Scientific it is NOT. It's simple, needs only items you have in your home and I have found a greater yield of viable plants. Why pre-sprout? In years past I have planted seeds directly into soil in seed starting containers. My success rate was 30-50% at best. 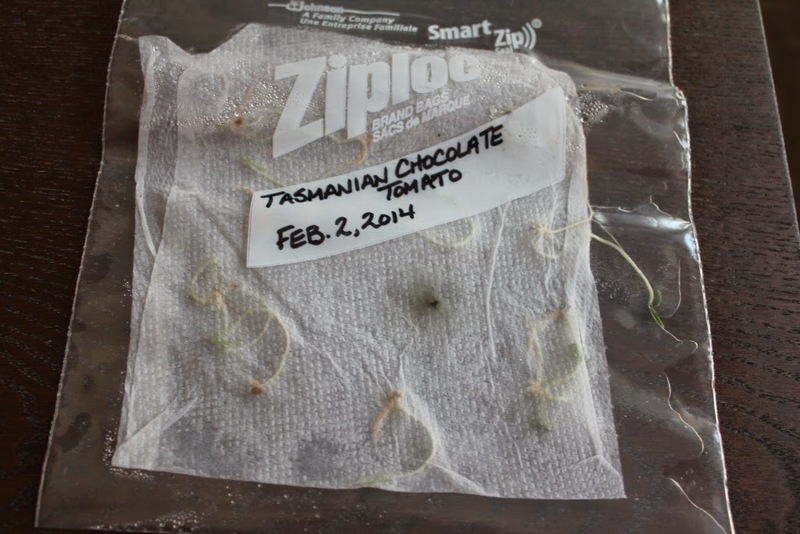 With this pre-sprout method I only plant in soil the seeds that germinate and appear to have good sprouts. I've found my rate of success increased to 75% for viable seedlings. I simply start seeds a week earlier than before. Yes, I reuse my ziploc bags. Why toss them when you can rinse them out with a bit of vinegar water, dry them and use again? Take a piece of paper towel and separate the plys (if a 2 ply brand). Dampen (not saturate) the paper towel and lay flat. Take 6-9 seeds and place (staggered) on 1/2 of the paper towel. Don't clump them together because the sprouts will spread. 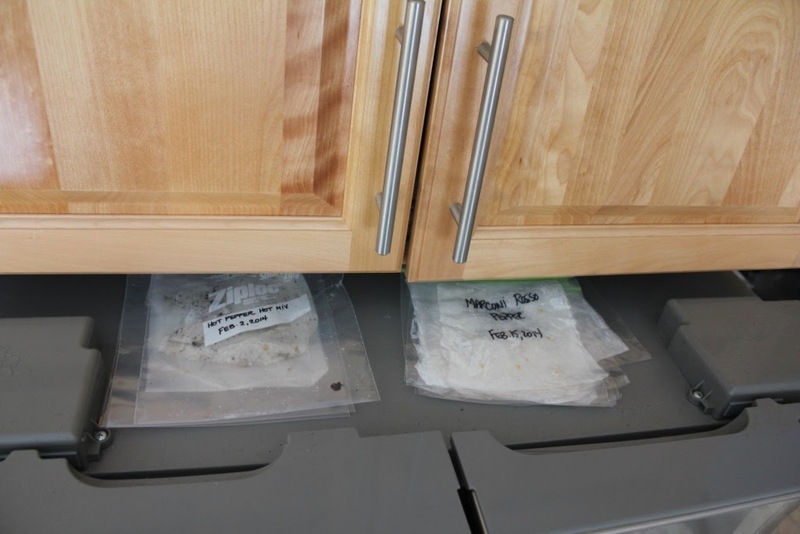 Fold over the other 1/2 of paper towel and place gently in baggie. Zip close and place in a warm spot. I use the top of my refrigerator. It should take about 7-10 days for seeds to sprout. It really depends on the seed variety. I've had some that have taken as much as 3 weeks. Just keep an eye that the paper towel doesn't dry out. These are now ready to be put into soil for Phase 2. Stay Tuned for Seed Starting 102. You won't want to miss this one either. This is great! It's really fun for kiddos to see this process, too, by the way! Science! Nice post! Oh, how I long for spring!